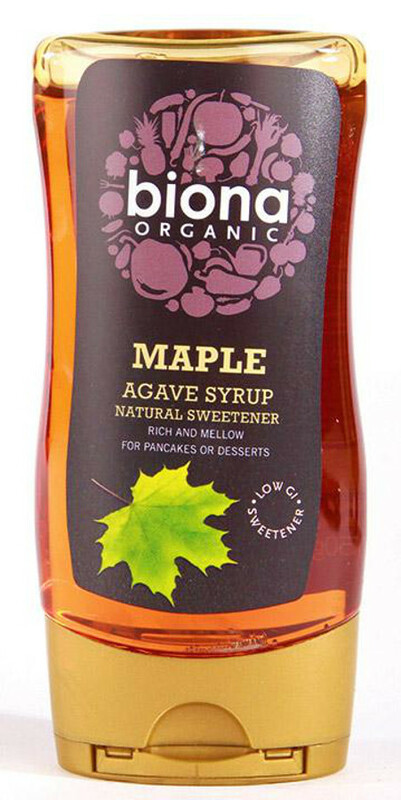 Made with 20% maple syrup, Biona Organic Maple Agave Syrup brings a twist to a more conventional sweetener. Use as a delicious accompaniment to ice cream, pancakes or other desserts. This rich and mellow sweetener is low GI and suitable for vegans. The Biona Organic Maple Agave Syrup - 350g product ethics are indicated below. To learn more about these product ethics and to see related products, follow the links below. 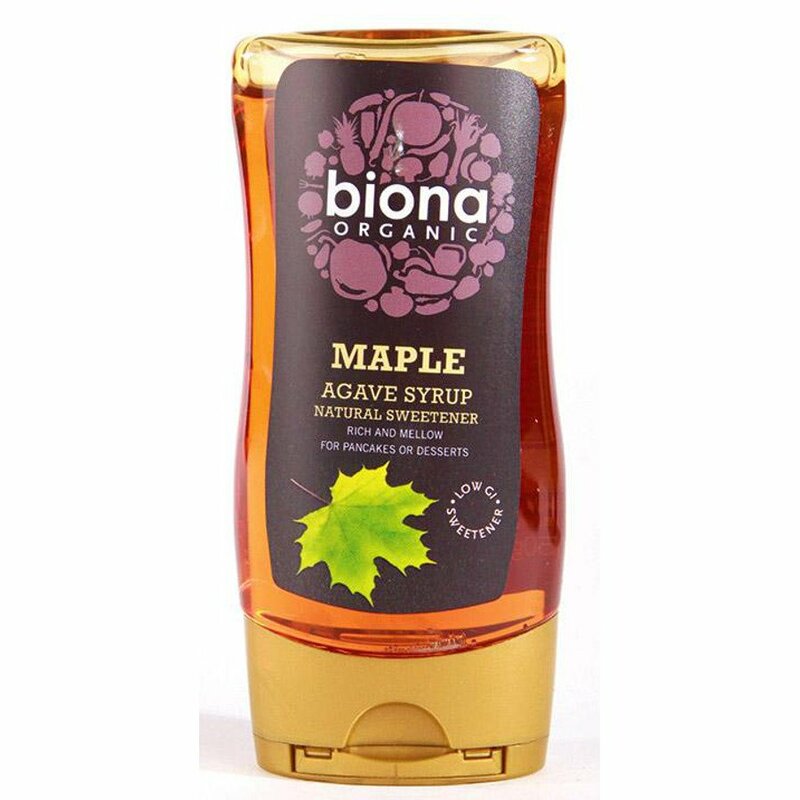 There are currently no questions to display about Biona Organic Maple Agave Syrup - 350g. Biona believe in creating delicious, thoughtful, well prepared food to compliment an ethical lifestyle. All their products are free from pesticides or herbicides on crops and are free from GM crops. Biona farmers only do sustainable farming and all Biona products are 100% traceable! Biona are the leading organic food brand from Windmill Organics. All their products are organic and suitable for vegetarians (many are also vegan). Their organic foods bring all that's best in organic grocery products.